GRAND RAPIDS, MI — Grand Rapids’ Wilcox Park will soon get a $50,000 makeover, after winning the inaugural MyGRcitypoints contest, which concluded on March 31. “We’re really excited to see this kind of investment in our parks, especially our neighborhood parks,” said Steve Faber, executive director of Friends of Grand Rapids Parks. When the city points contest began in January, Faber thought that the larger parks, like the 185-acre Riverside Park, might take home the big prize. Organizers were somewhat surprised that two of the city’s smaller neighborhood parks were among the prize contenders. 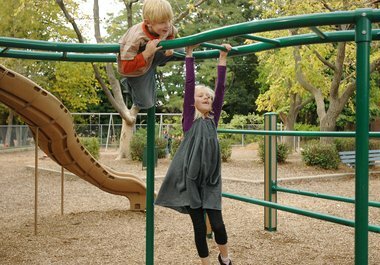 “It means that the neighbors care not just about their community, but also their parks,” Faber said. Faber said they do not have any specific projects in mind for the Wilcox makeover, but plan to hold meetings with the city and the surrounding residents to discuss what types of projects would meet the needs of the neighborhood. Friends of Grand Rapids Parks hopes to have a community build project for the Wilcox makeover mid-to-end of summer. Faber said there havenât been any capital park projects in five years and all the parks are in need of $50,000. Officials of MyGRcitypoints announced the winners on its Facebook page earlier in the day. “Thank you to the 1000+ residents who participated in this first-ever campaign,” the Facebook post said. Click here to see how the other Grand Rapids parks fared in the MyGRcitypoints contest.